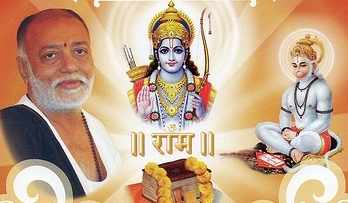 Morari Bapu ji considers Ram Chander ji to be the Supreme God who was an incarnation of Lord Vishnu where as in Durga Puran, Vishnu Ji himself says that he is the son of Durga and is thus not Supreme. Shiv puran describes the birth of Brahma, Vishnu and Shiv from Kaal. Brahma Vishnu and Shiva are in birth and death. These are not immortal.